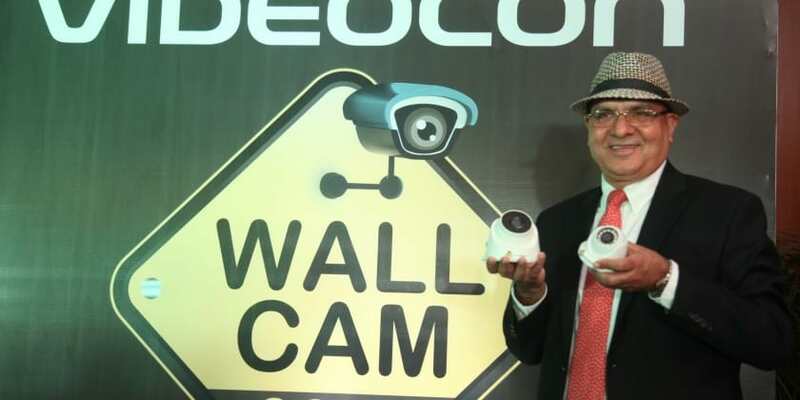 NEW DELHI: Videocon Telecom has announced its entry into fast growing Rs 6600 crore Security and Surveillance market with its new brand of ‘Videocon WallCam’. The brand will bring in wide range of security and surveillance products with its prime focus on Video Surveillance products to cater Enterprise, Government, institutional and retail (residential and small commercial set-ups) segments. “In addition to basic Video Surveillance products such as AHD (Analogue high definition), IP (Internet Protocol )& wireless cameras, DVRs & NVRs, Video-Door Phones, intrusion alarms etc; the brand will also offer customized security solutions to institutional, corporate and government sector including PTZ (Pan, Tilt & Zoom) and vandal proof cameras, mobile vehicle cameras, access control systems, scanners and detectors, number plate reader solution, central monitoring system, boom barriers, X-Ray baggage inspection system, cloud storage with secure remote access etc,” a statement said. Riding on its diversification into new business verticals like security and surveillance, smartphone accessories, smart homes & city solutions and Mobile VAS, Videocon Telecomis targetingtopline revenue of Rs 300 crore during the FY 2017-18. The company’s existing business lines including Broadband & FTTH business in Punjab, Haryana & Himachal Pradesh; Wholesale ILD Carrier business; Smart Solutions and Tower business are projected to contribute a topline revenue of Rs 1358 Cr during the FY taking the total consolidated revenue to Rs 1658 crore in the current financial year. Videocon Telecom enters security and surveillance market with new brand-Videocon WallCam 0 out of 5 based on 0 ratings. 0 user reviews.